Peppers on the Point is a fine example of the Peppers approach to creating unique properties with timeless appeal. The former 1930s mansion retains its distinct charm and design throughout. Now operating as an exclusive Peppers lakeside retreat, this property is the finest of lodges in Rotorua serving d’hôte dinner in the restaurant and providing a rare and delightful kind of Rotorua accommodation. Peppers on the Point has a relaxed and tranquil ambiance, with lavish features and amazing views over the beautiful Mokoia Island. Rotorua is a New Zealand Maori heartland in the Rim of Fire region with a cultural history like no other. 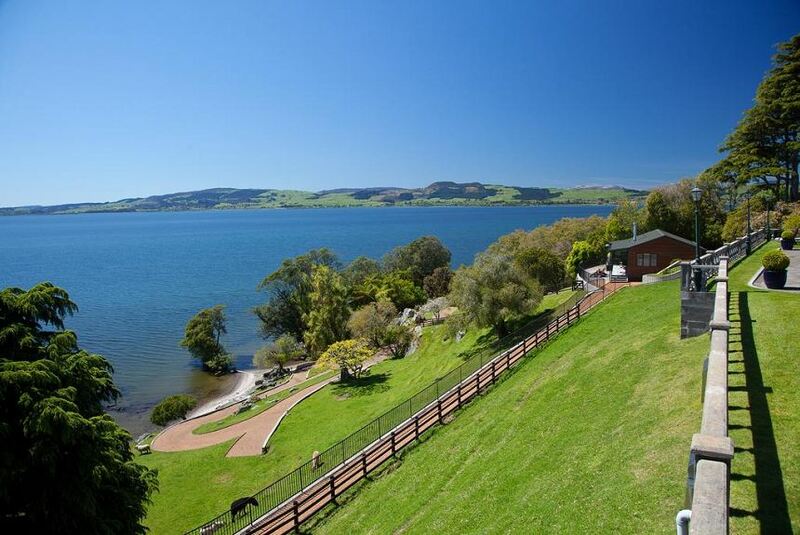 You would never guess that this lakeside Rotorua accommodation, so lovingly preserved, is just 5 minutes from the heart of the city.